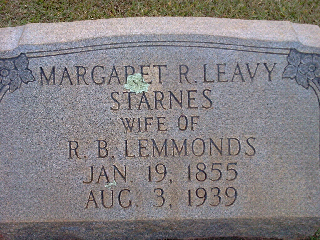 Margaret Leavy Starnes was my paternal grandmother's paternal grandmother. Until now, she has been a fairly elusive lady. While I have yet to discover all there is to know about her, and even her death date and final resting place, my journey has begun. It is the difficult- to -locate ancestors who intrigue me the most. This is what I do know about Leavy, as she was known. Shortly after I started this post, I found Leavy. It began with finding out exactly who she was and totally putting aside other descendants claims that she died in 1881, as was listed on ancestry.com. The reason they believed so was so many cousins with the same name. Margaret Arlevis Starnes, known for her entire life as "Leavy", was born January 19, 1855 in Union County, North Carolina. She was one of the descendants, like all of the Union County Starnes, of one Frederick Staring/Starn/Sterns born in 1700 in Alzey, Germany. Her father's name was Frederick Faison Starnes. He was born in Georgia. Several of the Starnes, Frederick II and Leonard, had left for Georgia years prior. F F Starnes returned. 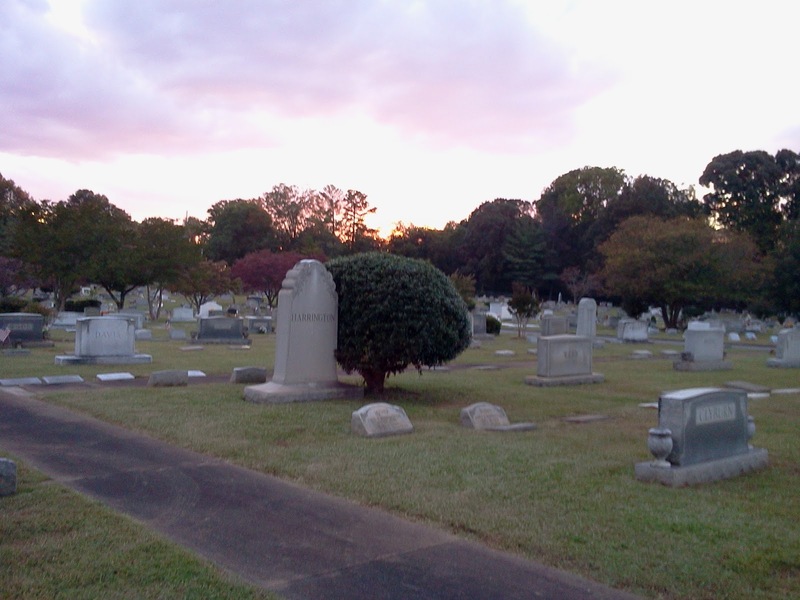 He moved his family to the confluence of Stanly, Union and Cabarrus Counties and has the unique fate of being buried in Stanly County at the Meadow Creek Primitive Baptist Church, on the border of Cabarrus and Stanly counties. 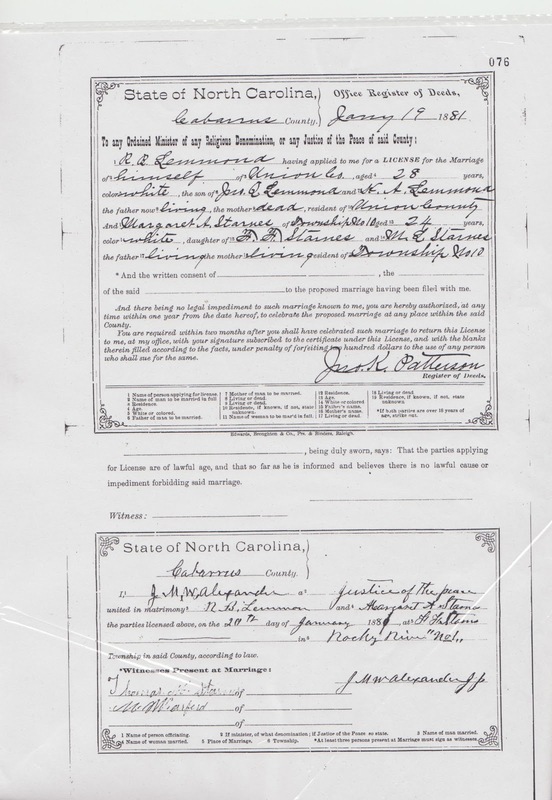 Leavy's marriage license to Robert Lemmonds lists her parents as Ff Starnes and M L Starnes. 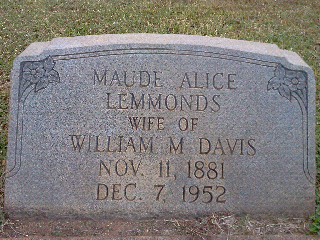 She was married in Cabarrus County on Jan 20, 1881. She and Bob would raise their 5 children in Township 1, which is the greater Harrisburg area, of Cabarrus County, and adjoining the city of Concord. After Bob died , She would move to Charlotte, where her father and his second wife Abigail, were living. She was living next to her son Frederick Cleveland Lemmonds. The 1900 census show Leavy as 'Leann' and living with 4 of her children. Only Sam is missing. The 4 chilldren of Bob and Leavy Lemmonds were Maud A., 1881, Frederick Cleveland, 1884, Harvey Lafayette, 1886, Samuel Grier, 1888 and Minnie 1891. Since Sam was one of the youngest, it is a mystery as to why he was not enumerated with his siblings. By 1910, Sam is living with his mother and sisters, whose names were the ones wrangled this time. 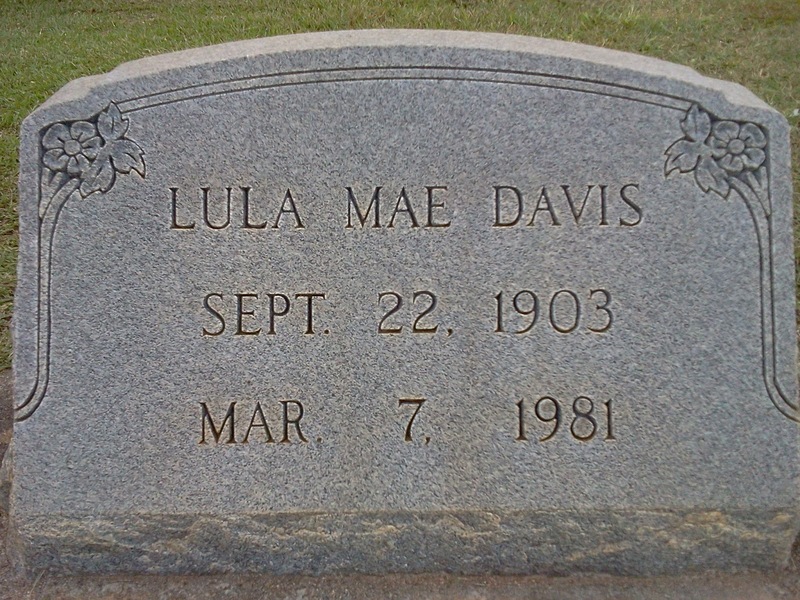 Maud would marry William A Davis from Cabarrus County and have one daughter, Lula. She would remain a widow and Lula would remain with her mother, unmarried, for life. By 1930, Leavy's brother had came to live with them. This is Thomas Mellon Starnes, not Theo. 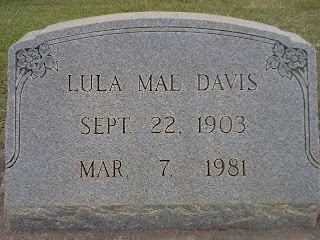 It was in researching Maude that I had discovered that Leavy had lived past 1930, but not to 1940. In 1940 Maude and Lula were living alone. I kept tracking the children and would not give up on finding Leavy. Knowing she had lived so long and died so recently (anything in the twentieth century is recent in genealogy), I could not give up on finding her. She had to be nearby. So I kept researching her children, and Mecklenburg and Cabarrus counties, knowing she was likely there. Find-a-grave does not have Leavy. I will have to put her there. But I found Maude. In the old Oakwood Cemetery right in the middle of Concord. Harvey Layfayette Lemmonds death certificate lists his father, Robert Lemmonds and his mother Margaret Leavy Starnes. He was born in 1886, after the 1880 census and due to the destruction of the 1890 census, he was never counted with his father. In the 1900 census, he is listed as 'Harris' and Leavy as 'Leann'. It takes some detective work and imagination to keep in the swing with the early census takers and decipher their handwriting. The transcribers had a hard time of it. 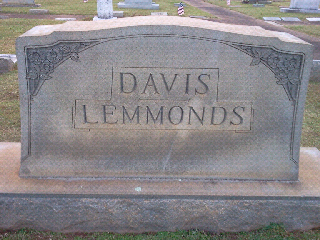 And a stone marked Davis Lemmons. 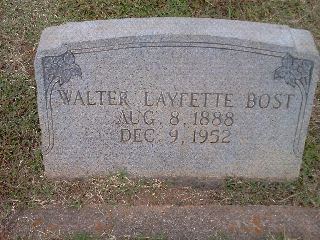 On the back of the stone was "Bost". 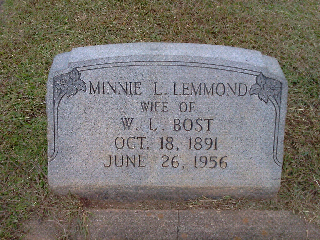 Youngest daughter Minnie had married Walter Layfette Bost. Strange that her husband carried the same middle name as her brother. It must have been popular in the area at the time. And then there was Leavy. Margaret R Leavy Starnes. Even her children were puzzled about how to spell that middle name 'Arlevis' and it became R. Leavy. Cabarrus County had given up her ghosts. I still have not found Leavy's death certificate. I am sure she had one and they most likely mangled her name, but I am not giving up. I am sure there is more to come. I spoke to Leavy's grave, 'Hello there grandma'. And a beam of sunshine broke through the clouds. "I've found you."